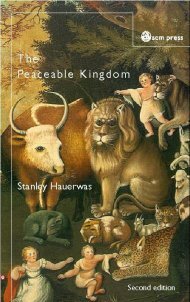 ”I suspect it is all ‘there’ in The Peaceable Kingdom”, writes Hauerwas in Hannah’s Child. I suspect he is right, which is the reason that I still think this is Hauerwas’s most important book, almost 30 years after its publication. It is the book where Hauerwas’s most important subjects (character, virtues, narrative, non-violence, the church) are all brought together. Hauerwas does an excellent job showing why these depend on each other. 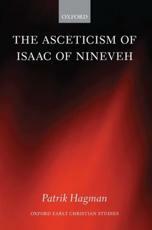 It is also a ”primer” in Christian ethics. Hauerwas has an amusing discussion on what is meant by this in the Postscript in the second edition, (of the possible meanings in Webster’s dictionary for ”primer” Hauerwas thinks this is the most appropriate: ”the first gallon of water poured into a pump to wet the leather around the plunger and thereby augment the vacuum drawing the water up from a well”), but it means that Hauerwas frames his argument with a discussion of modern ethics, Christian or otherwise, that I feel is still relevant and helpful. What one is struck by, though, is how different this approach apparently was back then. Remember, this was before Lindbeck’s book, for example. The only two ”allies” Hauerwas can muster up are Yoder and MacIntyre, all other thinkers that are quoted sonud as if they come from a different planet, no matter if they are quoted in support of what Hauerwas is trying to say or as objects of criticism. This seems especially true with the big names of the American social ethics tradition: the Niebuhrs, Gustafsson, Ramsey. We can see that Hauerwas kind of builds on what they did, but the building itself is something none of them (not even H. Richard) would have ever imagined. In fact, 30 years later this is actually a weakness in the book, since the very different types of language that are introduced when Hauerwas cites these and other similar thinkers will probably be confusing to some. The book stands out among Hauerwas works, not only because it is a proper book, but because of the large amounts of ”primary Christian speach” that are found, especially in chapter five. This surely iritates some, but I think it is one of the books strengths and something that makes it useful as an introductory text. People with a religious background – most of our students fit in that category – will probably find it easier to come to grips with the quite radical claims of the book when given in a familiar language. More importantly, theologian need to be able to use this kind of language properly. Too long theology has been about not speaking like Christians. The only thing that is dated about this book is the literature, obviously. But from this it is easy to move on to more recent Hauerwas writings.